approx. 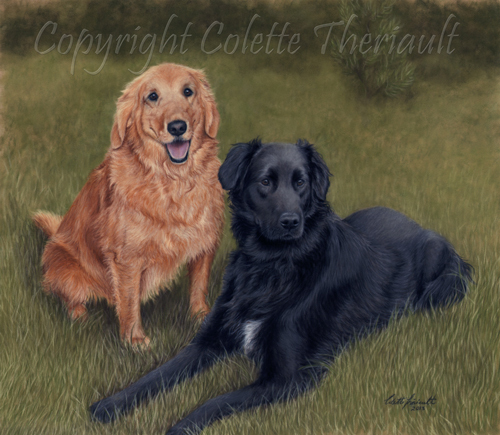 size: 18" x 16"
When working on commissions, I always pay special attention to the client's needs. In this case, it was requested if I could add an evergreen in the background because they wanted the scene to look just like their back yard.